Real estate, the stock market and bitcoin are for amateurs. If you’re looking to make some serious money, the kind that requires you to hire bodyguards and buy your own Brinks truck, you need an NFL franchise. What makes the Panthers’ sale price truly staggering, however, is that it’s nearly a billion more than what Terry and Kim Pegula paid for the Buffalo Bills less than four years ago. Granted, the Bills are the least-valuable of the 32 NFL teams, according to Forbes’ 2017 valuations. But that alone can’t explain the exorbitant jump in price. These are the Panthers that Tepper is buying, not the Patriots. 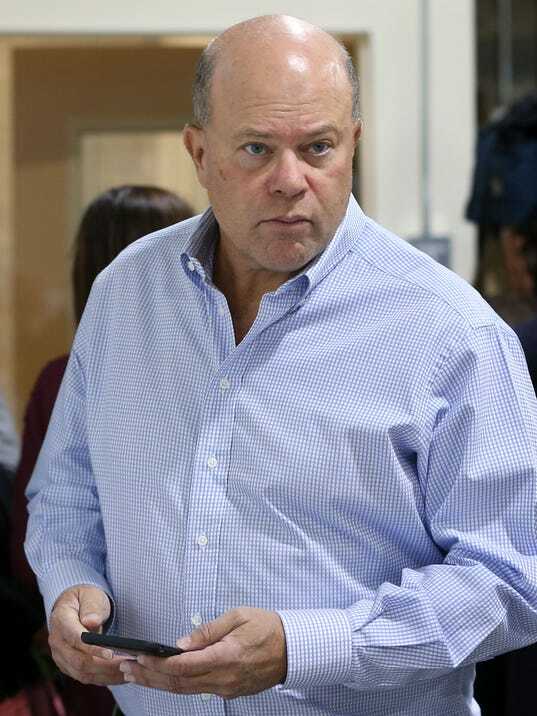 But what Tepper’s purchase shows is that the NFL remains America’s undisputed king. Owning a franchise is as close to a guaranteed moneymaker as there is. While it’s true the league’s ratings have softened – as have those of pretty much everything on TV thanks to cord cutting – the NFL remains, by far, the most popular show going. NFL games accounted for the five most-watched TV shows last year and six of the top 10, according to Nielsen. The Super Bowl drew more than 111 million viewers, more than the four-highest non-NFL shows combined. The opening round of last month’s draft on ESPN, Fox and NFL Network drew 11.2 million viewers. That’s right. The draft. More than 11 million people tuned in for a show that featured about 60 seconds of “action” every 10 minutes or so. Those kind of numbers mean broadcasters and digital companies are still tripping over themselves for a piece of the NFL’s action. Fox agreed earlier this year to pay the NFL $3.3 billion over five years just for the rights to Thursday Night Football. In December, Verizon agreed to pay $2 billion for five years’ worth of streaming rights. Zimbalist did say he thinks the NFL’s growth has flattened, and that the league faces challenges in the future because of concerns over head trauma. The Panthers make three consecutive NFL teams to be sold for $1 billion or more, and none of them – Panthers, Bills or Cleveland Browns – would be considered one of the league’s marquee franchises. If the Browns can command $1 billion, imagine what the Dallas Cowboys would go for on the open market. Or one of the New York teams. And we haven’t even factored legalized sports betting into the equation yet. Imagine what Tepper would have had to pay had Richardson waited a week or two to finalize the deal. $2.5 billion? $3 billion? No doubt we’ll soon find out. The Tennessee Titans, Denver Broncos and New Orleans Saints are considered the teams most likely to be on the block next, and the initial asking price just got higher.